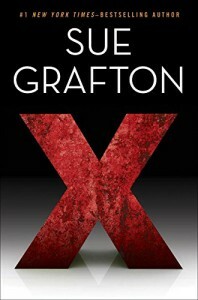 Going into X, I had already A through P in the Kinsey Millhone series before I burned out. The premise of X and the knowledge this series would soon end brought me back for a trial period, and I worried at first I might be lost. After a few pages, I returned easily to Santa Teresa as though I'd never left. Maybe I need a refresher on some names referenced, but otherwise I had no trouble. The suspicious next-door neighbors running a long con on dear Henry Pitts. The deception of a spurned ex-wife who uses Kinsey for her own gain. Taking on unfinished business from a dead detective acquaintance. These threads braid into the story and as I read through to the end I figured out much of the conclusion. No surprises for me, but that doesn't necessarily make X a bad story. I get the impression we might revisit some of this in Y and/or Z, but X reads like things are winding down for the series. If you've enjoyed the series, you might like this one.